The honeydew we bought at the local market was not at its peak. The not so flavorful orb sat in the refrigerator for a few days untouched before I could decide what to recycle it into. 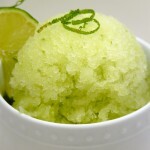 Lime honeydew sorbet was the perfect recipe to transform the tasteless melon into an extraordinary culinary treat. It can quell the heat on a hot summer’s day; yet, it is elegant enough to serve at a wedding shower or afternoon tea party. 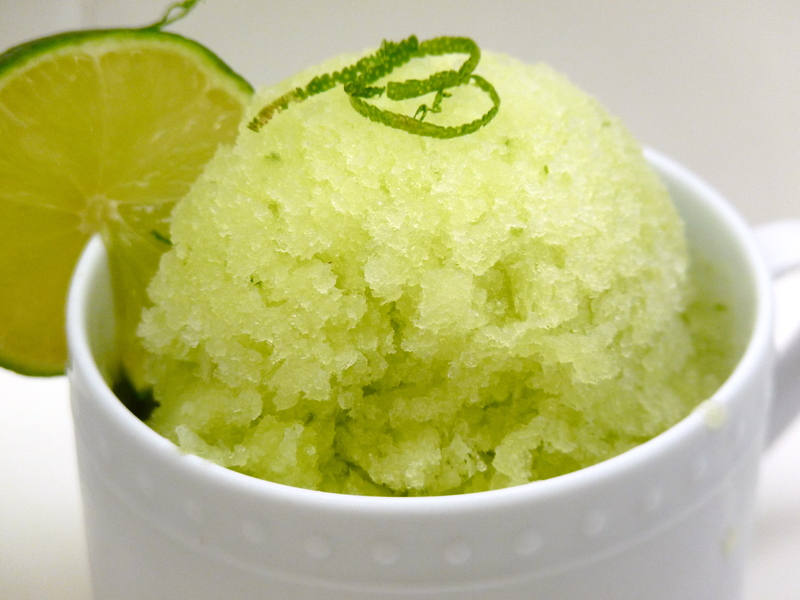 The sorbet is a beautiful blend of tart lime overtones with a hint of honeydew. I did not have an ice cream maker. Instead I poured the mixture into a chilled 9X9-inch square pan. I stirred and fluffed the mixture after an hour making sure to blend the harder edges into the softer center. I smoothed it and then repeated stirring again two more times. Our version was more icy similar to a granita than a sorbet but the flavor was surreal. The sorbet is best if eaten the first two days. After that it starts to turn icy and loose flavor. In a food processor or blender, combine honeydew and sugar; cover and process until sugar is dissolved. Add the remaining ingredients; cover and process until blended. Freeze in an ice cream freezer according to manufacturer’s directions. Spoon mixture into a freezer-safe container; cover and freeze in the refrigerator freezer 2-4 hours before serving.